Happy 2014 everyone! Cannot believe it is already a new year, where does the time fly? Once a new year rolls around the saying “out with the old in with the new” resurfaces across the lips of many people. I took that catch phrase and ran with it when I did my winter cleaning/organizing last week. 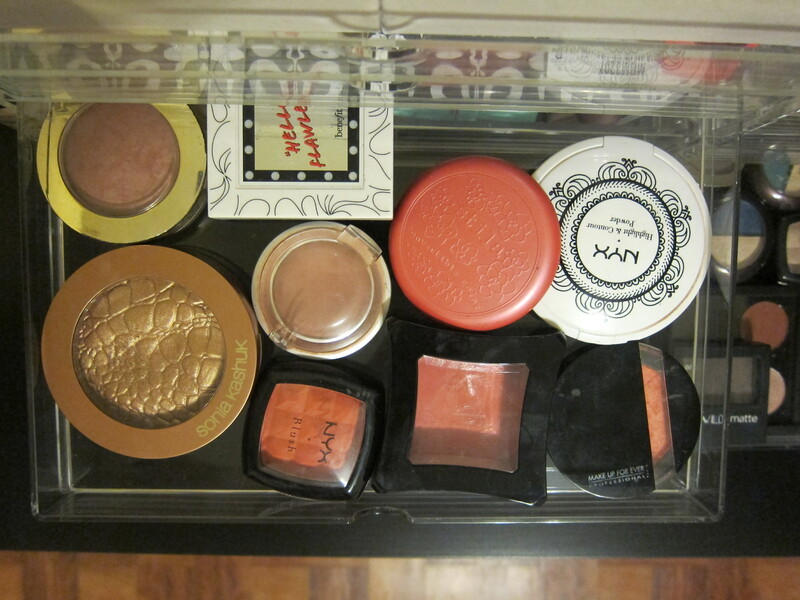 My makeup and brushes were a priority for me because everything was all over the place leaving me no choice than to act like a mad woman while getting ready in the morning. 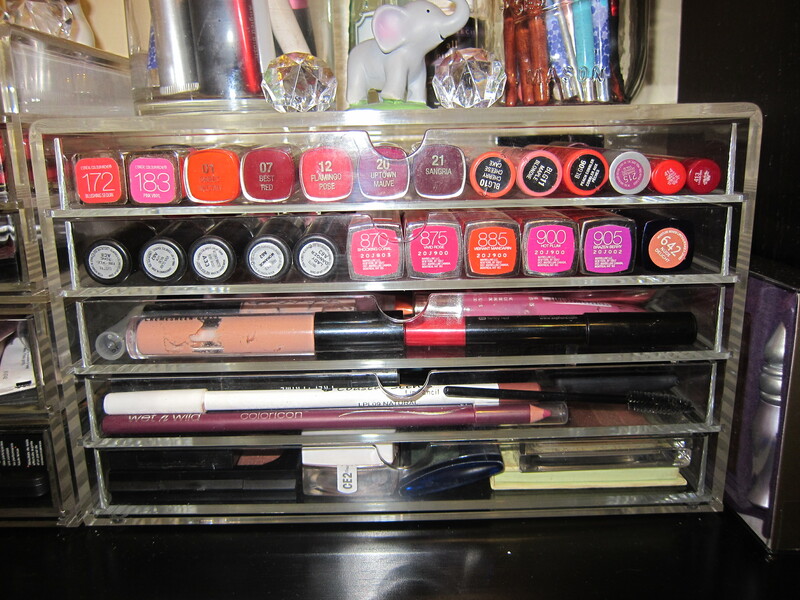 With that said, I’ve had these Muji Acrylic Cases for a long time but as I mentioned before my makeup wasn’t very organized. 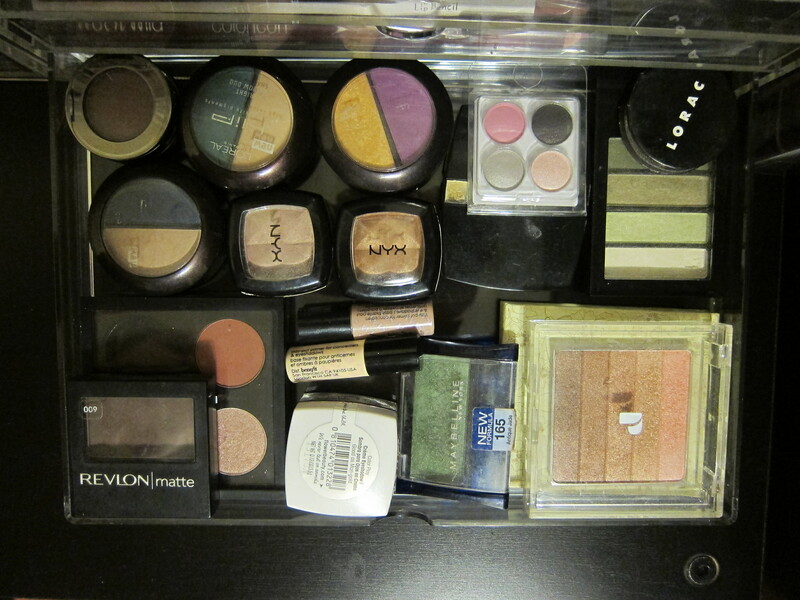 So I tackled this task by removing all of my makeup and categorizing everything for easier access. 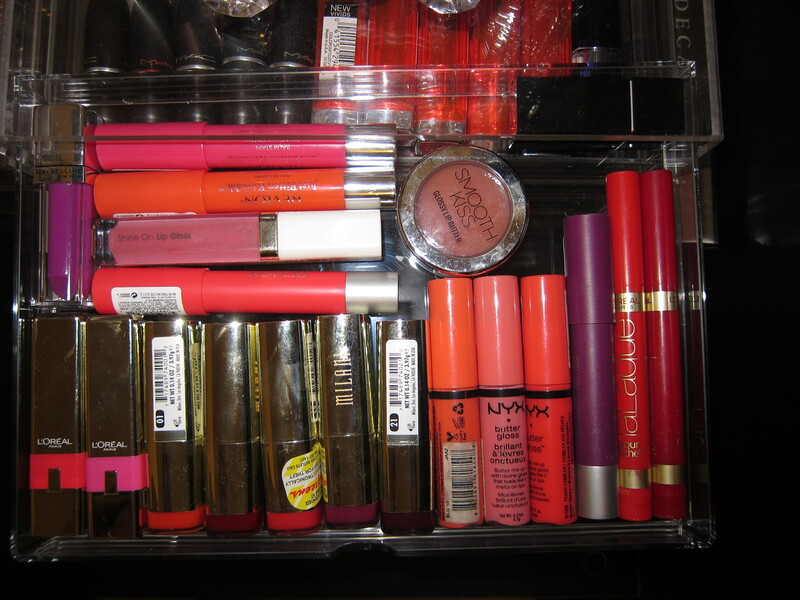 Lip tints, stains and balms in top row, Lipsticks in second, Glosses in the third, lip, eye liners and highlighters in the fourth and shadows in the fifth. 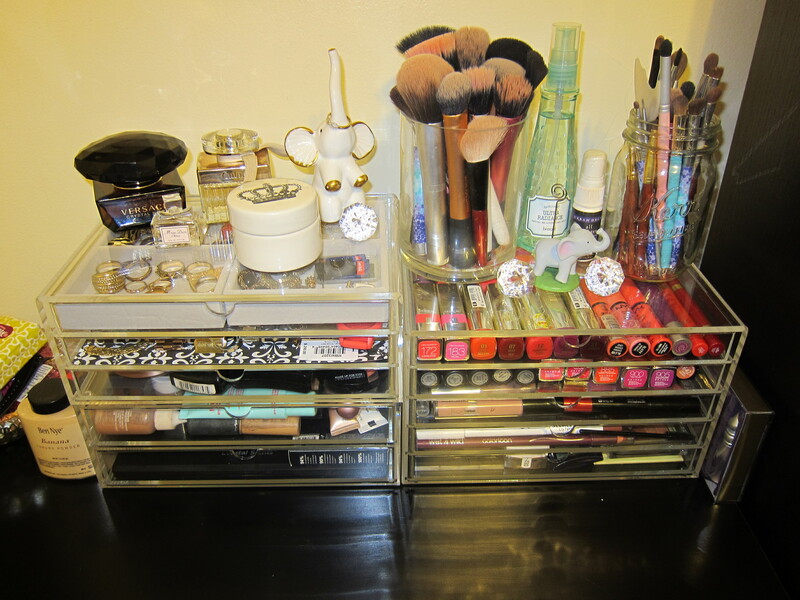 As for my brushes I cleaned out an old candle jar to place the bigger ones in and small mason jar to place my eyeshadow brushes in. Below are the links to the cases that I utilize.